Forest vegetation. Natural scenery of wild forest mushrooms. 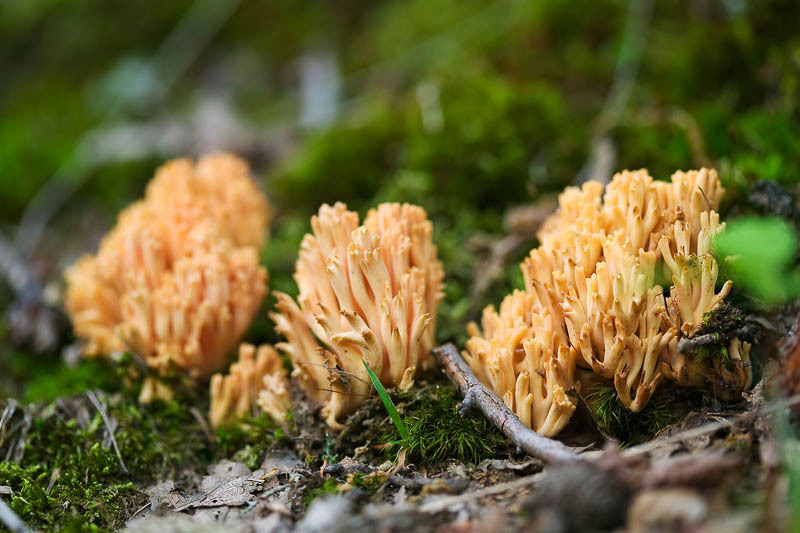 Very tasty edible coral mushrooms for cooking. Wild mushrooms in wood. Delicacy food from nature. Woodland fungus.